These gray, dreary winter days can really sap your energy and dull your enjoyment of life. To survive the winter doldrums, brighten your [city] home. Open your Las Vegas home’s window treatments during the day to let the light brighten and warm your room. Close them again as soon as night falls to retain heat. Brighten dark rooms with few windows by placing spotlights on the floor behind furniture. Add a mirror. Wherever a mirror reflects light in a room, it visually doubles that light. Place a mirror opposite a window to immediately brighten your space. No window? Hang a large mirror above a console table and place a pair of lamps in front of the mirror. Install higher watt bulbs in rooms that tend to be dark. Eliminate dark corners by adding recessed lighting. Use full spectrum lighting in areas where you read, knit or do other up-close work. Lighten living areas with colorful throws and pillows. Lift the winter blues by adding flowers and plants to your decor. Colorful indoor blooming plants include the African violet, Cyclamen, Orchid and desert cactus. Use tropical flowers to transport yourself mentally to climates where the sun always shines. Wash the inside of your windows. Fireplace and candle soot coats windows with a dingy film that blocks the sun. Polish your furniture. Shiny furniture reflects ambient light. Wash ceiling light fixtures in soapy water. Light is muted when filtered through dirty light fixtures. 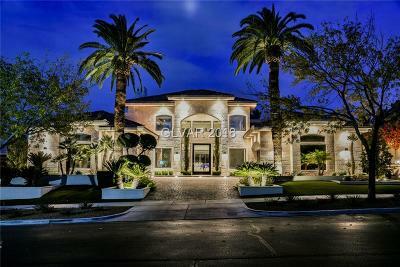 Lighting can change how you (and potential buyers) feel about your Las Vegas home. It’s one of the easiest and least expensive ways to quickly improve the ambiance of your home.